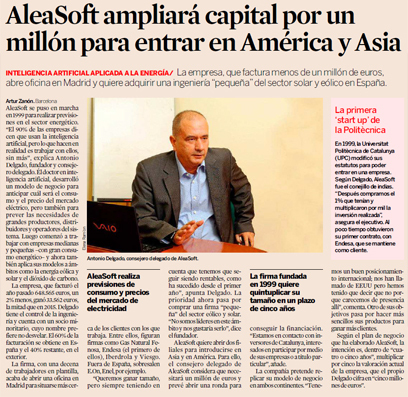 Interview with Antonio Delgado Rigal, Artificial Intelligence PhD and Director General of AleaSoft within the Spanish Newspaper Expansión published on Wednesday November 15th, 2017. 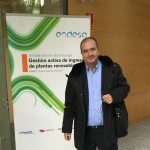 The company, with a turnover of less than 1 million Euros, opened an office in Madrid and wants to purchase a “small” engineering company of the solar and wind energy sector in Spain. 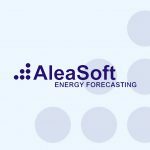 AleaSoft started in 1999 to provide forecasting solutions to the energy sector. “90% of the companies claim to use Artificial Intelligence, but what they really do is just work with the data, that’s all”, says Antonio Delgado, founding partner and CEO. He, PhD in Artificial Intelligence, developed a business model to forecast the electricity market price and demand, but also capable to anticipate the needs for large production plants, distribution companies and transmission system operators. Then, AleaSoft started to work with medium- and small-sized companies –with large energy consumption– and now they also apply their forecasting models to other fields like wind and solar energy, and CO2 emissions. The company, with a turnover of 648,565 Euros last year, 2% less, had a net profit of 33,562 Euros, half of the profit of 2015. Delgado also acts as CTO and has a minority partner, whose name he would rather not reveal. 60% of the revenue comes from Spain and the remaining 40% from abroad. The firm, with around 10 employees, has just opened an office in Madrid in order to be closer to its clients. Among them are Gas Natural Fenosa, Endesa (who was the first one), Iberdrola and Viesgo. Abroad, important clients are E.On and Enel, for instance. “We want to grow as a company, but always bearing in mind that we must remain profitable, as it has been since the first year”, notes Delgado. Now the priority is to buy a “small” company of the wind and solar energy sector. “We are not a leading firm in this field and we want to be one” says the founder. AleaSoft wants to open two branches to enter in the markets of Asia and America. To do so, the CEO of AleaSoft believes that 1 million Euros is needed and he wants to open a round to obtain financing. “We are in contact with investors in Catalonia that are interested in taking part through their companies or in their individual capacity”, he adds. The company wants to replicate its business model in both continents. “We have a good international positioning; we have been contacted from USA but we had to refuse because we are not present in that market”, he comments. Another goal is to make their products more basic to make it available to more clients. According to the business plan developed by AleaSoft, the aim is, in “4 or 5 years”, to multiply by 5 the valuation of the company that Delgado estimates in “5 million Euros”.